Story line: The accident abortion deeply strikes John and Kate who are expecting for the birth of their third baby, especially Kate, who is always in sorrow and nearly has a nervous breakdown. In order to overcome sadness, the couple decides to adopt a child from the orphanage. Here a 9-year-old little girl Esther who is clever and has good manner attracts their attention. Soon after completed the adoption procedures, Esther becomes one of their family. However, with the arrival of Esther, all kinds of extraordinary events also follow. Kate gradually feels that there is something known hidden behind Esther. What horrible answer is hidden behind “Angle” Esther’s lovely face? 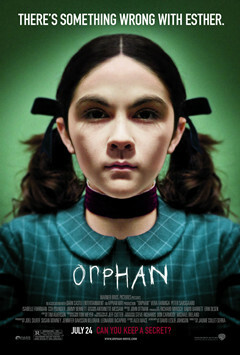 Orphan is not just a normal horror movie, it’s most spectacular point is it is as the foundation of horror movies, but develops into complex psychodrama, and the plot is really unexpected. This is definitely a good horror movie worth to backup. With Any DVD Cloner, you can easily complete this task. If you purchased or rented this horror movies - Orphan from iTunes, and want to backup this iTunes movie for playing on other non-Apple devices, you can seek help from Noteburner M4V Converter Plus, which can help you remove DRM from iTunes videos and convert iTunes M4V videos to other plain format supported by many other popular devices, such as Samsung Galaxy, HTC, Motorola, LG and ect. 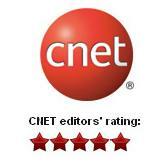 Why choose Any DVD Cloner ? It only takes 3 steps to clone Orphan DVD to blank DVD disc with Any DVD Cloner. Source DVD drive: if you want to clone Orphan to a blank DVD disc with only one DVD burner, select the same as the "Input Device". Step 3: Then you can click to start. After a few minutes, you can enjoy the work.